Safety is not an inspiring topic. How do you go from despondent to total buy-in? That's easy: You hire Spike! It’s your choice. You can choose whomever you want for your next event. And when it’s over, what do you want your attendees to say? Do you want to hear that you just hired another ‘dull’ speaker in their opinion? Or do you want them fired up, making REAL changes in what they do and singing your praise? If you want high-fives and happy attendees, then choose Spike Edwards for your next event. He is known for his Success in bringing safety issues in the workplace to the forefront and connecting leaders to their employees to increase profitability. It does not matter if your Audience is 5 or 500, Spike Edwards will leave them Excited and ready for more! Axiom: People matter. Leaders lead. And the culture grows itself to become the ultimate weapon in organizational improvement. Spike Edwards is at the center one of the most remarkable decades seen for stories of organizational transformation. In that time he has headed projects that have seen $1.84 billion returned to a company in regained production, the direct result of changing its organization around reducing the silos that had built up over the years, further earning a government enquiry to find out why the project was such a safety and business success. 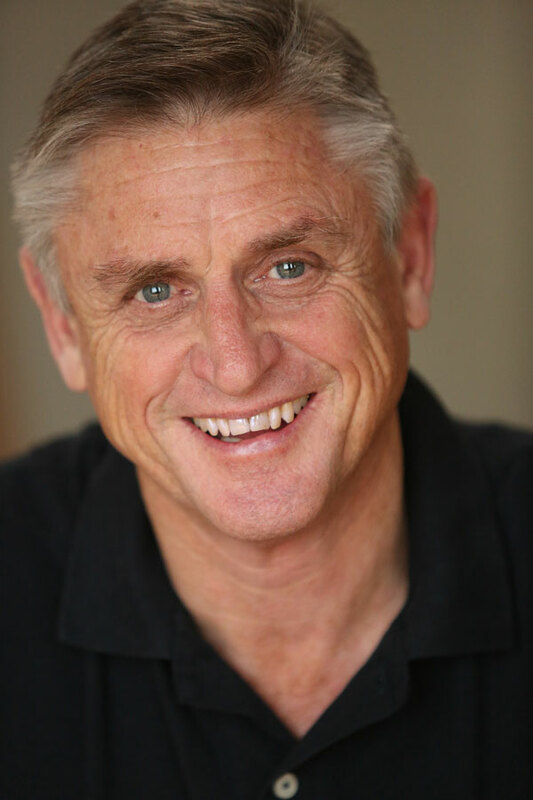 Spike Edwards is a popular keynote speaker, workshop facilitator, and TEDx presenter. Spike's has presented to audiences all over the globe, in countries such as Brazil, China, Singapore, Australia, the United States. Spike also brings with him 25 years of military training, including 15 years as a Special Forces operative. Another example is a 27 year old rig being transformed from a business liability that nobody wanted, into a strong business asset with unprecedented 95% percent productivity. And a year of no injuries at all. This was achieved by using the same crews that they had been hired in China and again brought them all the way down to New Zealand. With different codes, and different ethics. However one thing is clear: Leadership matters and culture is everything. I have had the opportunity to work with a lot of speakers in my role as Executive Producer of TEDxSantaBarbara. Spike is one of the hardest-working presenters we ever featured on our stage. His daily regimen of walking 10,000 steps while rehearsing his talk extends into everything he does. His preparation for the speech of his life is consistent with how he approaches every challenge. I have had the pleasure of working Spike Edwards on several occasions. He is the consummate professional. His skill in engaging and encouraging individuals to reach their full potential within their skill set, leads to the development of teams with an excellent ethos in safety and productivity, that is cost effective for our organization. Raised on a small farm in Australia where his father was a 5th generation hardworking farmer. His mother, a Polio victim, taught him that life was an adventure, to stand up for what you believe to be true and don't let anyone tell you what you can't do. At the age of 15, he joined the army, and 20 years later was a highly trained special forces operative. His special forces training included indoctrination in some of the world's most advanced business enhancing techniques, processes and technologies available at the time. These critical skills would work anywhere on the planet at any level of conflict. Spike Edwards had the opportunity to test them in culturally diverse areas such as Australia, USA, Singapore China, Brazil, Denmark and Malaysia. After the military, he spent 21 years drawing on that wealth of experience gained to focus on one challenge: Cracking the Safety Code. Spike was called in, to head the project, to design and roll out a safety campaign to turn the organization around, 18 months later it turned out to be a hugely successful campaign. However, its real success was that it unlocked so many key elements that have been able to be regularly repeated to create profits, increase productivity and save lives, grow leaders in businesses around the globe thus bringing real hope to individuals, families and communities. As your Connection to Profits Speaker, Spike Edwards Delivers! Tell me a bit about your event and your overall goals. I'd love to meet you and your audience.